Am I certain to lose my teeth? No. With the right home care and help from your dentist and hygienist, it is possible to keep your teeth for life. Gum disease and tooth decay can be prevented whatever your age. What particular problems may be involved? Your gums may recede (shrink back) as you get older, and your teeth may become a little more sensitive as a result. 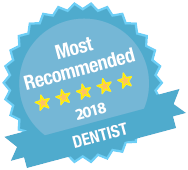 Your dentist or hygienist will be able to show you the best brushing methods to keep any gum problems under control, and may suggest a mouthwash to deal with the sensitivity. Normal cleaning may become more difficult if you have problems with your hands or arms, or if your eyesight is less than perfect. Again, you can get help and advice on the best aids to use. A magnifying mirror and a good light, and brushes with handles that are easy to hold are often helpful. If you have lost some teeth in the past, and have fixed or removable bridges or dentures, you may have particular cleaning needs and difficulties which your dentist or hygienist can help you with. Some people take regular medication that makes their mouths dry. Saliva helps to protect teeth against decay, so if you have less saliva than usual ask your dentist for advice. Or you can get special products, including artificial saliva, over the counter in most chemists. Should I expect to have problems with my gums? As it is often painless, many people may not know that they have gum disease. Some common signs are: gums that bleed when brushed; teeth that are loose; receding gums and bad breath. Not everyone has all these signs. You may only have one. Can I still get tooth decay? Yes. The same dental plaque that causes gum inflammation can cause decay, particularly when combined with sugary foods and drinks. There is a particular risk of decay at the gum edge when the gum has receded, as the ‘neck’ of the tooth is not protected by enamel. Thoroughly remove plaque from your teeth (and dentures) at least twice a day. Use fluoride toothpaste. There are many special toothpastes on the market, including tartar control and total care toothpastes. Look for the BDHF accredited products, which are clinically proven to meet any claims made on the packaging. Do not have foods and drinks containing sugar between meals. Sugar is most harmful to teeth if eaten or drunk often. Visits your dentist and hygienist regularly. Older people are often prescribed medicines and tablets that can cause a dry mouth as a side effect. Decay can happen more quickly in a dry mouth. If this applies to you, you need to be especially careful. Many people find that sucking boiled sweets or sipping drinks throughout the day helps. However it is not a good idea to keep eating or drinking sugary substances. Ask your dentist for advice. You need a small-headed, medium –textured toothbrush and a fluoride toothpaste. To help clean between your teeth you could use an interspace brush, tape, woodsticks or floss. People with arthritis may find it difficult to grip a toothbrush handle, but you can get handle adapters. Electric toothbrushes are also ideal for people with limited movement. The handles are thicker and easier to hold and the oscillating head does most of the work. There are many products available, and your dentist or hygienist can help you decide which are best for you. Plaque can be sustained with food dye painted on your teeth with a cotton bud, or with special ‘disclosing tablets’ from the chemist. This stain is harmless and shows any areas of your mouth, which need closer attention. Look particularly where the teeth and gums meet. A further brushing will remove the stained plaque. If I do lose my teeth, how long do I have to wait until I can have my dentures? With planning, dentures can be fitted the same day. These dentures will need to be seen and adjusted by the dentist within 6 to 12 months because the gums will alter in shape after your teeth are removed. If you have partial dentures, it is also important to remember to clean your natural teeth as well as your dentures. Dentures are likely to need replacing every five years, because the shape of the mouth continues to change throughout life. Often changes are slow and denture wearers become skilful at keeping their dentures in place. Many people are using ill-fitting and broken dentures, which should have been replaced years ago. Pain or discomfort from ill-fitting dentures can often be eliminated or reduced. It is sensible to keep up your regular dental check ups at the intervals agreed with your dentist. This will make sure that your mouth remains healthy. Many serious conditions can first be detected in the mouth. Should I keep my old dentures? Yes- they can give the dentist valuable information when making a new set of dentures. Is getting used to dentures difficult? sore spots. If so, go back to your dentist. speech problems. These should settle quickly. If not, go back to your dentist and explain the problem. eating problems. You can keep these under control by eating soft foods and cutting food into small pieces until you gain confidence. This may take time. Certain medical conditions such as a stroke, Parkinson’s disease, multiple sclerosis and Alzheimer’s disease can cause extra difficulty for people getting used to new dentures, and they may need specialist help. Some people find that using a denture fixative in the early stages gives them extra security. When should I wear my dentures? Your mouth will need a rest from wearing dentures and the dentist is likely to suggest that you leave them out at night. If this is not possible, try to find a few hours at another time when it is more convenient to you. Be extra careful with denture hygiene at all times. Always put your dentures in cold water when they are not in your mouth to prevent warping. Ulcers can be caused by broken teeth, poorly fitting dentures or sharp pieces of food. Once the cause is removed, ulcers should heal within 2 weeks. If you notice an ulcer, which does not heal, see your dentist straight away. Clean your dentures over a basin of cold water to avoid damage if they are dropped. Thoroughly clean all surfaces with toothpaste or a denture cleaner and a small toothbrush. Once a day is enough. Soaking alone is not enough as this only loosens debris. It is best to loosen any debris, then soak the dentures in a denture cleaning solution. Finish with a final brush using a toothbrush and toothpaste. If you notice a build up of stain or scale, have you dentures cleaned by your dentist or hygienist. What if my denture breaks? Broken dentures are repaired free of charge on the NHS. If your denture breaks more than twice in the same place, it is probably because it no longer fits properly and may need to be ‘re-lined’. In either case, contact a dentist. For short periods of time or special occasions, when extra confidence is needed, denture fixatives are useful. After use make sure that you remove all traces of fixative from both the denture and your mouth. In the long term, if dentures feel loose it is better to get advice from your dentist. Costs will vary according to the treatment you need and whether it is carried out under the NHS or not. The dentist should give you an estimate before starting. If you are uncertain what the treatment what the treatment involves, the dentist will be happy to explain it again. You can get a leaflet that explains NHS dental charges and confirms who is entitled to free dental treatment or help towards costs, from the DSS office, your doctor or dentist. If you have any doubt, ask your dentist. What if somebody is housebound? Many dentists are happy to visit people at home and provide treatment there. There is no extra charge for this service to NHS patients. Ask your dentist for details or contact your local Community Dental Service (through your local health authority) who may be able to help.